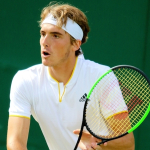 Tsitsipas: Best player in the future leading role? At midway (but not turning!) point of his missionary journey towards to Paris, we stoically witnessed the latest overwhelming one-week powerhouse performance of Rafael Nadal. The 31-year old Majorcan “committed” a hit-and-run tennis versus his newfangled challenger from Greece, accomplishing the Mediterranean Double (Monte-Carlo + Barcelona) 10 times in his illustrious career. Although, the 11th . 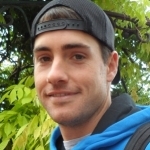 . .
April 1: John Isner’s heck of a day? The 2nd tallest player in the current ATP-field is one win away from his personal milestone in his career, which eludes every big title up to 250+ (except for Hopman Cup) in this trophy cabinet. To sum up his resume, he did not even play in a GS final, and he had to wait his . . . US Open’15: Men’s Doubles final – Viva la France! First time at US Open! The young titan Pierre-Hugues Herbert and the experienced Nicolas Mahut snapped the French winless streak at the US Open men’s doubles! Monday 2 February 2015 Australian Open 2015 – The final word For two weeks the world’s top tennis players have excited and delighted fans at Melbourne Park. Now, as top seeds Serena Williams (USA) and Novak Djokovic (SRB) celebrate their Grand Slam victories, we look back at Australian Open 2015. On-court . . .